A standing pose sketch illustrates the use of line and value to create form in a charcoal figure drawing. The key concepts in the first pose are placement and scale, drawing a complete form, and the use of hard and soft line. The second pose builds on the concepts of the first with discussion about rhythm and change of pace in line, turning the form in space, effect of light on form and how to use it, middle tone, shadow, highlight, and the addition of color with crayon. 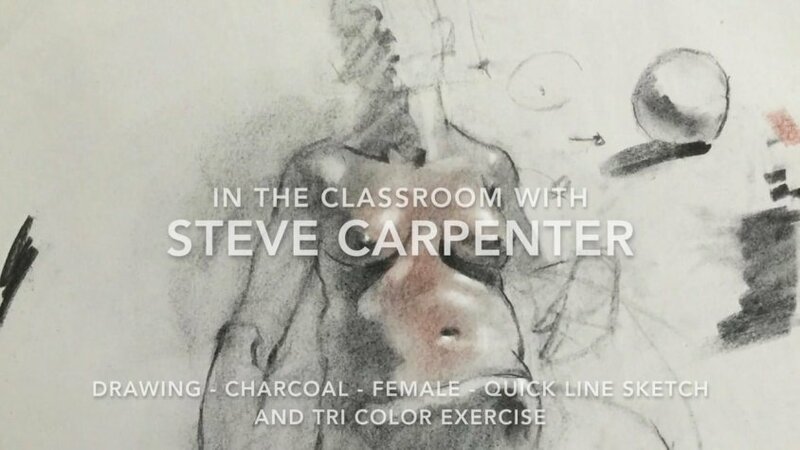 Learn these charcoal drawing techniques and apply them to your drawings.